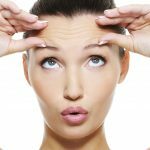 HowFaceCare.com > Beauty > Top-4 Modern Methods of Skin Rejuvenation: Stay Young Forever! Apparatus cosmetology started to develop 40 years ago. 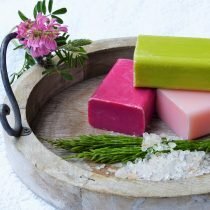 Although, it gained popularity much later, in the early 2000s, today even in the small beauty salons, some of the simplest apparatus procedures can be offered. 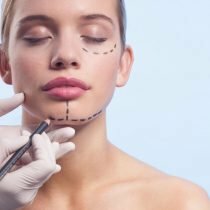 All cosmetic procedures associated with deep or invasive effects on the skin of the face and body, relate to medical activity. Before you choose the suitable procedure, learn more about each of them for you to know the distinctive features. Express-rejuvenation technologies, or so-called “weekend” procedures, are becoming increasingly popular as they allow you to quickly bring the skin and appearance as a whole to the desired aesthetic look. Every moment to be at the peak of activity is an indispensable requirement for many people, and it sometimes sets the crazy pace of their lives. To spend only 1 hour on Sunday so that on Monday you look great, today it is possible thanks to the unique technology of SMOOTH-rejuvenation. provide intensive lifting of the skin, tighten the oval and make the contour of the face clearer. SMOOTH laser therapy is aimed at uniform heating of the surface and middle layers of the skin and may be recommended if age-related changes are already noticeable, but are moderate and do not require deeper effects to obtain the desired effect. The procedure is also often referred to as business rejuvenation, as it is ideal for business people. Indeed, today the perfect appearance is a significant component of professional status, and there is very little free time, and it is highly valued. it is suitable for skin rejuvenation of all areas of the face and body (including the inner surface of the hips and shoulders). 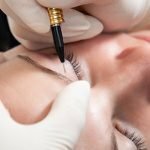 SMOOTH laser rejuvenation is a unique technology patented by Fotona Technology. The procedure has no analogues, because on other systems’ laser systems it is impossible to carry out SMOOTH rejuvenation. The procedure is carried out by erbium laser on the equipment of the last generation. The long pulsed laser beam penetrates to a strictly defined depth (up to 400 μm = 0.4 mm), ensuring uniform heating of collagen. As a result, the skin is tightened and sealed, cleansed from small surface defects, wrinkles are smoothed, pores narrowing. A healthy, uniform color and natural radiance are returned. The warming of the dermis, in addition to the instantaneous lifting reaction, accelerates the synthesis of collagen and elastin fibers, which provide skin tone and elasticity. SMOOTH-rejuvenation is absolutely safe for the skin, because it does not overheat the fabric. This unique feature allows the use of SMOOTH technology to rejuvenate the face and all parts of the body, including the skin over the mammary glands and the thyroid gland (neck and neck areas), which can not be affected, for example, by a neodymium laser, because its energy penetrates much deeper (up to 4 mm). 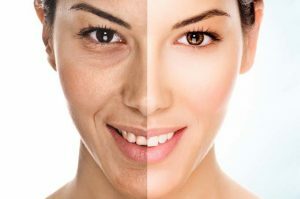 During the entire procedure, the skin is cooled by a special system Zimmer Cryo 6, which pumps a powerful airflow cooled to -40 ° C. Thus, the thermal effect of the laser is “masked”, and as a result, the session passes completely painlessly and comfortably, the patient feels only a pleasant cool. In addition, such cooling protects the skin from excessive heating caused by the natural reaction to absorbing the beam energy, and protects it from burns. Important: The result is noticeable immediately after the procedure, and within 3-5 days it intensively improves. Therefore, if a particularly significant event is scheduled, it is recommended that the procedure be carried out a little bit earlier. 3 D and 4 D are laser techniques. This is a combination of 3 and 4 exposure programs in one procedure, respectively. As a result of the procedure, you will have skin lifting, laser grinding and laser rejuvenation. Let’s have a closer look at their distinctive features for you to know which one will suit you best. It would seem that the strange name “3D” is dictated not so much by the fashion as the protocol of the procedure itself. It operates in three directions. Firstly, it improves face color – removes pigmentation, redness, vascular sprockets, as well as unhealthy gray shades, typical for residents of large cities with a difficult environmental situation. Secondly, it improves skin texture – narrows extended pores, smooths irregularities and smooths wrinkles. Thirdly, it improves the tone – it tightens, increases elasticity, strengthens the oval of the face, removes obovity. 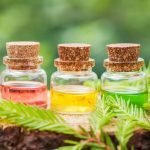 Three methods are used for this purpose. At first, a vascular laser is used, which removes freckles, senile lentigo (age pigmentation), vascular and even pink acne (rosacea). In this case, the doctor adjusts the duration of the impulse and the depth of penetration, depending on the task. 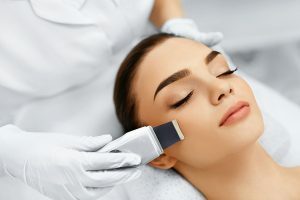 Removal of vascular defects on the face – the procedure is relatively comfortable: here, a special device for cooling the skin is used, the coefficient of thermal conductivity which is several times higher than the usual. The second stage is the so-called photorejuvenation, when using a light stream, the skin is smooth and wrinkles are removed. At the same time, heating stimulates the production of its own collagen in the skin, which means it increases elasticity and strengthens. The third stage is thermolifting (here the laser penetrates as much as possible into the skin). And everything happens like this: the infrared ray heats the weakened and stretched collagen, collagen collapses and becomes more dense under the influence of the beam. 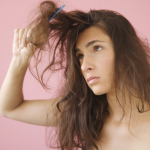 As you know, collagen fibers stretch out with age, and the skin becomes flabby. Accordingly, when the collagen is compressed, the elasticity of the skin increases as if we were strengthening the invisible frame of the face. The 3D rejuvenation procedure is universal (suitable for patients of any age, performed on the face, duct, abdomen, hips, shoulders), painless and does not require anesthesia, it lasts very shortly, does not leave traces and does not require time to recover, which is especially important. busy most of the time and business people. Often, it is called a “lunch break” procedure – it seemed as if it was getting stronger, but returned to the younger ones. 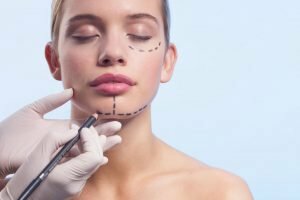 Interestingly, although the first results are visible after visiting the clinic, the full effect will be achieved in a couple of months, because, as already mentioned above, the procedure stimulates the development of a new collagen. This means that those who decide on it will be young for several months. 4D is one of the most effective tools for cardinal skin rejuvenation and elimination of ptosis (sagging) of soft tissues! The laser layer processes all layers of the skin, including the mucous membrane of the cheeks, which results in pronounced contraction of each flap and the achievement of the effect of skin tightening on the middle and lower third of the face! 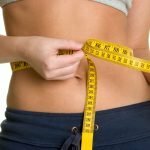 4D-rejuvenation eliminates the age-displacement of so-called “fat packets” and prevents the oval faces even in women over 45! This is the world’s only technology for the reconstruction of face skin, conducted once and does not require a recovery period. Implied only on the ultra-modern Fotona laser. Combines the four most advanced laser techniques. The maximum effect is achieved in a few days and lasts up to one and a half years. Smooth lifting. Revolutionary technology of exposure to erbium laser on the submucous layer of the buccal region to stimulate the synthesis of young collagen in the area of the mouth and cheeks. Effect: smoothing wrinkles and replenishing the volume of the lower third of the face (the result is comparable to the effect of the introduction of dermal filers). Deep rejuvenation of FRAC3. Impact of neodymium laser on middle and deep skin scars with the aim of reconstruction of the dermis and powerful rejuvenation. Effect: restoration of elasticity and skin turgor, smoothing of wrinkles, narrowing of pores. The skin becomes dense, smooth and elastic as in youth! Uniform heating of tissues to a depth of 6-7 mm with the help of ultra-long batch pulse of a neodymium laser for the purpose of biorevitalization and tightening of the middle and lower third of the face. Effect: The reconstruction of the connective tissue base of the cheeks and tissues of the nasolabial triangle, eliminates the ptosis of the face, gives the effect of a skin-tightening cream! Factional lifting. Exposure to a fractional laser to reduce the area of each flap and to smooth the texture of the skin. Effect: Tightened, velvet and even skin. Important: The lifting effect is manifested fully in a few days and lasts up to 1.5 years. Fractional photothermolysis is made on an erbium laser. It is the safest, most effective and comfortable way to rejuvenate skin today. No special training is required for the procedure. And right after the session, you can safely go home. In this case, the result is visible almost immediately. All this has become accessible thanks to a fundamentally new method of exposure to the skin. In microperforation, laser light is fed to the skin not as a whole stain, as in the case of classical laser grinding, but in the form of a beam of more than hundred micro-rays. Each of them affects the microscopic zone, removing old skin cells and activating the formation of young ones. In this case, cells remain unaffected by the laser. They become the source of rapid recovery of treated areas. Thus, an average of 25% of cells is updated per session. And for the course of 3-6 procedures, there is a complete rejuvenation and elimination of all surface defects. It is possible that the laser during fractional photothermolysis actively stimulates the work of fibroblasts – cells that are responsible for the production of collagen, elastin and hyaluronic acid. Therefore, the skin does not just flatten, but also gets a powerful push to recovery. In other words, she begins to work in a “young” mode. Already after the first session, you will see that the wrinkles are smoothed out, the face oval becomes clear, the skin looks fresh and young. The effect of a serious laser grinding or even a plastic surgery without pain and long rehab is a new reality that microperforation reveals to us. Become younger without interrupting the usual rhythm of life and not losing time! The techniques chosen by the doctor directly depend on the condition of the patient’s skin. However, it should be remembered that already at 25-30 irreversible processes of aging in the body of women begin, the external manifestations of which can be slowed down, if to visit a cosmetologist at the very beginning. Important: Avoid exposure to sunlight for 1 month before and 1 month after rejuvenation. Laser therapy has long been used successfully in modern cosmetology. Laser-based devices are constantly being improved, which explains the great popularity of procedures on their basis. A solid-state laser emitter, the construction of which is based on a crystal of aluminum titanium garnet, is especially demanded. The aluminotrium garnet crystal is activated by neodymium ions. Neodymium is a rare chemical element, a metal silver-white whitish golden shade. A distinctive feature of this type of laser is its intensity, force and length of light length, which can penetrate to a depth of up to 6-8 mm in the tissue. The neodymium laser is successfully used in surgery, urology, gynecology, in the treatment of malignant diseases, as it is able to coagulate blood vessels and reduce bleeding during surgery. The neodymium laser is a hardware installation capable of producing a laser radiation of different wavelengths at least 532 nm, 585 nm, 650, and a maximum of 1064 nm. This type of radiation contributes to various ways of rejuvenating the face of the face and improves the efficiency of the laser hardware procedure. What are the possibilities of a neodymium laser? make less noticeable scars, and stretches on the body. The epilation procedure with the use of a neodymium laser consists of several steps. Step number 1: The first step is to prepare the skin for laser action. This stage also includes a specialist consultation aimed at identifying and excluding all contraindications. Contraindications most often include acute, chronic and infectious diseases of the internal organs and systems, pregnancy and lactation. Step number 2: The second stage begins with the application of an anesthetic preparation in the form of a cream or a spray to the intended site of treatment. Step number 3: Then, the epilation procedure begins directly. The specialist selects the optimal mode of feeding the laser cone for each case and directs it to the desired site. The procedure lasts about 30 minutes. The number of procedures usually involves six sessions at intervals of about a month. After laser exposure, the skin slightly blushes and passes by itself within 3 days. The advantages of epilation with a neodymium laser include the fact that its effect is directed not on the destruction of melanin, but on the vessels that feed follicles. As a result of light exposure to the blood vessels, they glue and stop feeding the follicle, which leads to its extinction. Since the neodymium laser does not interact with the pigment, this type of laser can be used on red, and on light hair. Important: The depth of penetration of light radiation allows you to eliminate even those follicles that are deeply under the skin.